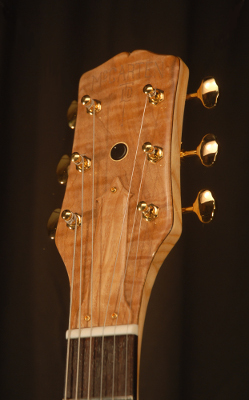 This model is styled like the DC-13 except with solid and thinner single layer construction, with easy access up to the 24th fret.The body is sculpted for comfortable playing. 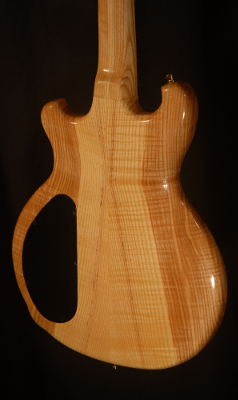 This example is made of figured Northern Ash. 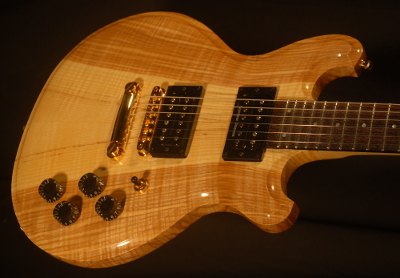 The fingerboard is Indian Rosewood and heatplate is Curly Maple. The hardware is all Gold plated and optionally includes a Bigsby B7 vibrato. Electronics consist of two humbucker pickups.